Journal of Social Sciences of Mus Alparslan University [Anemon Muş Alparslan Üniversitesi Sosyal Bilimler Dergisi] is a peer-reviewed international journal that publishes original and qualified works with a scientific approach in the fields of social sciences and human sciences. The Journal is published bimonthly in February, April, June, August, October and December starting from 2018 by Mus Alparslan University. Scientific and legal liabilities of the articles published in anemon belong to the authors. The copyrights of the works that are published in the journal are transferred to Mus Alparslan University. No part of this publication may be duplicated and published elsewhere including electronically without permission of the Publisher. 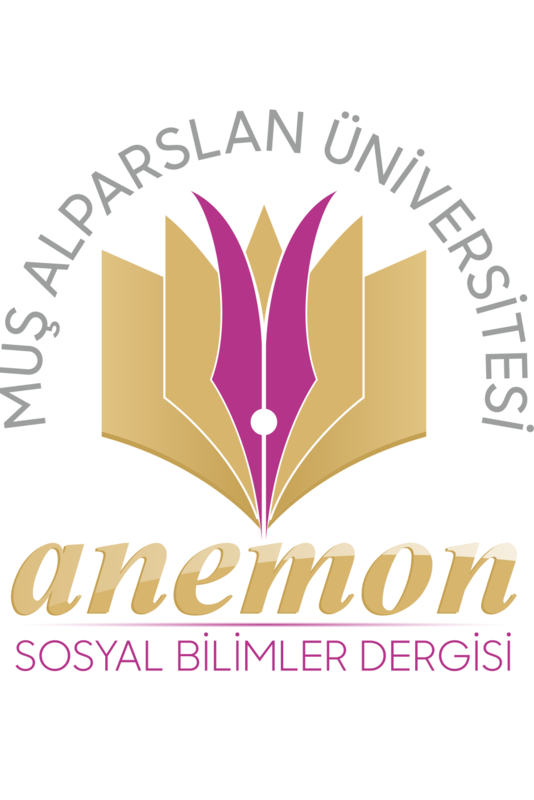 anemon focuses on, but not limited to the following topics: economics, business, finance, political science, international relations, literature, history, psychology, sociology, philosophy, educational sciences, linguistics, theology and fine arts, etc. All articles published in our journals are open access and freely available online. DOI number is assigned to all the articles being published in the journal. The journal does not charge authors for any publication fee. The articles that comply with the publication principles of anemon are passed through plagiarism checking. Journal of Social Sciences of Muş Alparslan University uses the iThenticate software to detect instances of overlapping and similar text in submitted manuscripts. The journal allows an overall similarity of 20% for a manuscript to be considered for publication.